SEPTA’s pass system has some pretty bizarre rules. One of the strangest is with Zone 1 Trailpasses, which you would expect to only be valid within…you know, Zone 1. 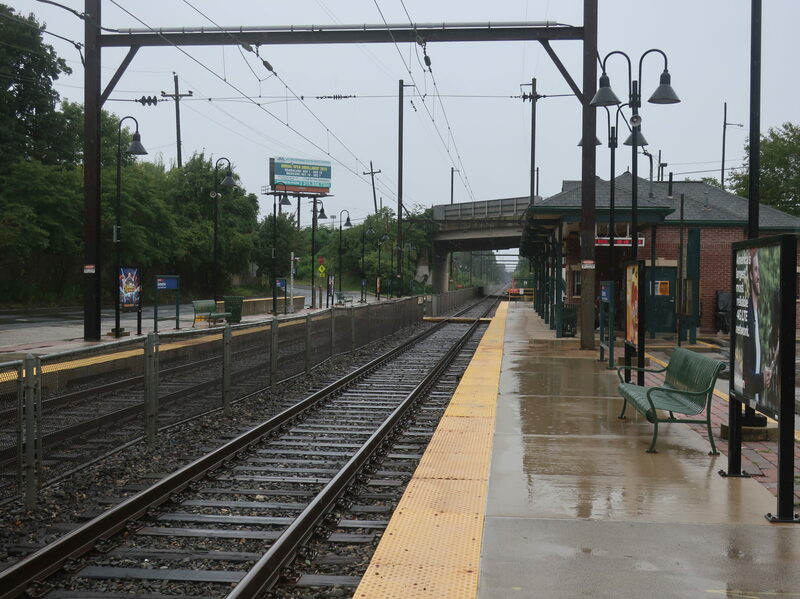 Not so – on weekdays outside of rush hour, they’re valid for travel to any station within the geographical boundaries of Philadelphia. Oh, wait, there’s a catch here: “except Forest Hills and Somerton Stations”. Alright, sorry, Zone 1 passholders, but you’re out of luck for this one! The entrance to the parking lot. 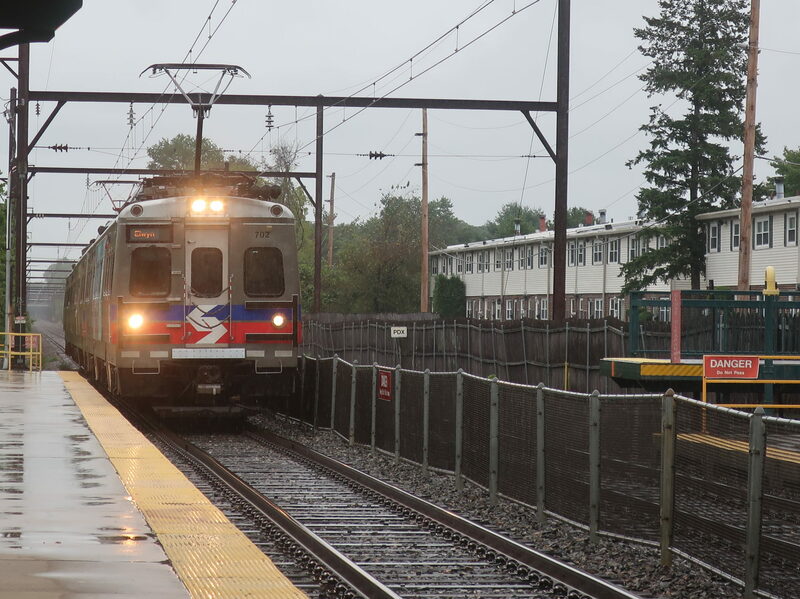 The reason Forest Hills and Somerton, both on the West Trenton Line, are exempt from the pass’s coverage is because the line actually leaves Philadelphia on its way into the city. Located on a sliver of the Far Northeast, these stations are more or less in the middle of nowhere. Somerton is surrounded by suburban sprawl, so it makes sense that it has a parking lot, although at just 201 spaces, it tends to fill up pretty quickly. Only a dollar a day to park, though! 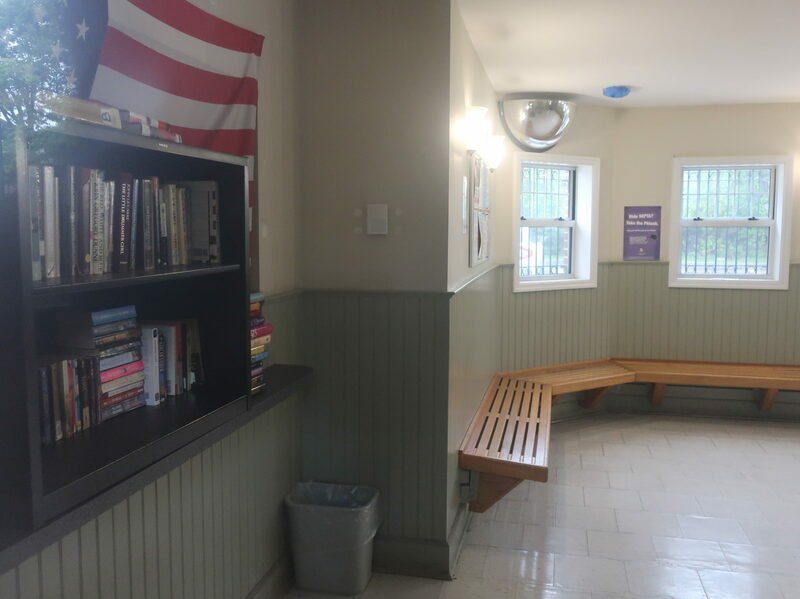 The station’s non-car entrances include direct access from Station Road to the south, and a pedestrian walkway that goes further west on Philmont Ave, taking you that much closer to the very nearby Forest Hills. 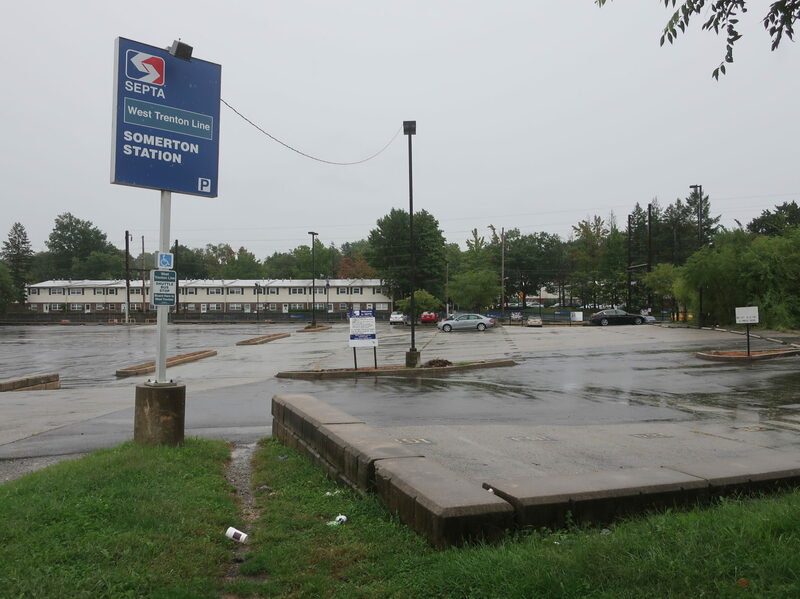 Somerton’s platform is basic but super functional. It’s slightly raised so there’s no need for those silly step-stools that SEPTA uses elsewhere, and there are consistent benches and wastebaskets on both sides. The outbound platform doesn’t get shelter, but that’s not a huge deal; the inbound side, meanwhile, has the awning of the station building to protect it from the elements. The station is wheelchair accessible, with mini-high platforms on both sides. To get between platforms, you have to use a level crossing in the middle of the station. Luckily, safety precautions have been taken: there are both visual and audio cues that let passengers know when a train is coming. Somerton’s building is only open on weekdays from 5:15 to 11:30 AM, but it looks like a nice place to wait during the morning rush. From what I could see, the inside has benches, a ticket office, and a small library. Ridership: Wow, here I was thinking this stop wasn’t super well-used, but it’s actually the busiest unique station on the whole West Trenton Line! On the average weekday, it gets 718 boardings, meaning that the majority of riders get here in some way other than driving and parking. Pros: The layout is simple, but it gets the job done. It’s a far better low-level platform than a big chunk of other SEPTA stations, and while mini-highs aren’t optimal, it sure beats inaccessibility. The building seems like a great place to wait, but even when it’s closed, the station still offers plenty of sheltered seating. Also, this may not be a concern for most Regional Rail riders, but for a suburban station, the bus connections here are robust: the 58 serves points northeast and southwest, while the 84 takes a southeasterly course. No shelters for the stops, unfortunately, but I doubt transfer traffic is huge. Cons: It’s a shame that the parking lot is so small that it gets full on a daily basis, but there isn’t much room to expand it. I only lament the parking lot size because this station isn’t in a pedestrian-friendly area, so for many people, driving or getting dropped off are the only options. There are only two bike racks here, though, so perhaps more of those would help generate new riders and free up space in the lot. Nearby and Noteworthy: A few sprawly restaurants are nearby, but nothing seems particularly noteworthy. I like how many apartment developments there are around the station, though! Who knew this little suburban station would be so busy? And yes, I know it’s in “the city”, but let’s be real, this is the suburbs through and through. It is great to see that there are a lot of apartments around the station, although given some of their sidewalk situations and the amount of parking they offer, it might be more transit-adjacent development than transit-oriented. Still, the station is an attractive place to commute from, with a great building for the morning rush and wheelchair accessibility. Just don’t try driving here!